Nissan reports its 30kWh Leaf incorrectly reports how much charge it has and how far you can drive before it runs out. 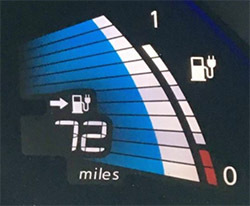 In March, a report by Flip The Fleet, a New Zealand-based “citizen science” project, suggested 30kWh Nissan Leaf owners were being short-changed as their batteries lost capacity significantly faster than expected. 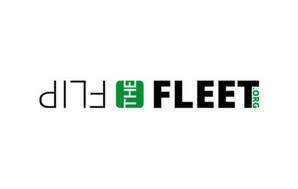 Flip The Fleet’s evidence was data taken from 82 New Zealand owners. It found the average loss of capacity for a battery in a two-year-old 30kWh Nissan Leaf was more than three times the loss measured in the similar, but smaller capacity, 24kWh Leaf. Nissan expects the Leaf battery to retain 80% of its capacity after five years. This week, after many months of silence since Flip the Fleet published their report and contacted Nissan, Nissan finally responded with a solution. They say the battery isn’t the problem, but that the car incorrectly reports how much charge it has and how far you can drive before it runs out. They’ve issued a software fix to the battery controller. It’s analogous to a petrol car with a faulty fuel gauge: one that reads empty when there’s still petrol in the tank. The car doesn’t need a new petrol tank, just an accurate fuel gauge. That’s good news for owners. It means they won’t need a costly early battery replacement, nor will they find the premium they paid for the longer-range Leaf has eroded when they come to sell it on. However, owners still need to get their battery controller reprogrammed. The cars need to visit one of seven Leaf-certified Nissan dealers, who will apply the fix for a cost of $115. Why is there a cost? Well, Nissan New Zealand never officially imported the 30kWh Leaf. There are estimated to be about 800 of them here, all used-imports sourced mostly from Japan or the UK. The responsibility to fix them falls on the dealer who sold the car or the importer who brought it to our shores. Nissan NZ are supporting the cars by making the fix available. As the local representative of the company who released a faulty product to market, you might think that’s the least they can do. We think owners with cars exhibiting this problem have a case under the Consumer Guarantees Act (CGA). It states goods must be of “acceptable quality” and must do what they are meant to do. If your vehicle’s affected, you should go back to the dealer who sold the car (also likely to be the importer) and ask it to pay for the software update. You can also claim any reasonable costs you incur to get your car repaired. What is Flip The Fleet? Flip the Fleet is a citizen science project. 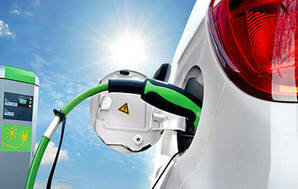 It aims to “accelerate uptake in electric vehicles in New Zealand”. EV owners provide monthly records on their car’s distance travelled, efficiency, charging patterns and average speed. These data are available to anyone who signs up to the project. As of 14 March, 645 EV drivers have signed up to contribute data since the testing phase of the project began in July 2016, followed by a public launch in 2017. Twenty-two models of EVs provide monthly data, of which 73% are Nissan Leafs. From the Leaf manual: “Nissan estimates that battery capacity will be approximately 80% of original capacity after five years, although this is only an estimate, and this percentage may vary (and could be significantly lower) depending on individual vehicle and Li-ion battery usage.” The battery still has a life even when it’s well below 80% capacity, but how useful it is depends on the range required by each owner. How do I know if my battery has lost capacity? The easiest way is to check the dashboard display, which has an outer thin scale representing battery “State of Health (SoH)”. SoH is the condition of a battery compared to its ideal (new) condition. A new Leaf has 12 bars; in the example pictured, the Leaf has nine bars remaining. The capacity bars are not linear. The first bar disappears when the battery SoH reduces to about 80%, while four bars lost equates to a SoH of 60 to 65%. Is there a battery warranty? The 30kwh Nissan Leaf was never sold new in New Zealand. Nissan New Zealand only offers a warranty on vehicles bought new in New Zealand from a Nissan dealer. Overseas, Nissan offers a battery replacement warranty for the 30kWh Leaf where there is a loss of four bars on the dashboard (equivalent to 60 to 65% SoH) within eight years or 160,000km. Nissan New Zealand says the warranty in the country of origin (Japan or the UK for most 30kWh Leafs imported here) is not valid in New Zealand. Your vehicle may be covered by a warranty supplied by the motor trader you purchased the car from. Nissan New Zealand does not offer replacement battery packs for the 30kWh Leaf (it does offer replacement batteries for the 24kWh Leafs it sold new in New Zealand). In Japan, a replacement 30kWh battery pack can be purchased and fitted for about ¥700,000 (NZ$9300).